Researchers at Oregon State University have found a natural way to protect the skin from the damaging effects of the sun. In a study that was published in the Frontiers in Pharmacology, they identified a crop called meadowfoam to contain a group of compounds called glucosinolates known for their anti-cancer and sunlight-protectant properties. Meadowfoam, a plant native to the Pacific Northwest, is named for the canopy of creamy-white flowers it produces when a crop is in full bloom. Its oil is used in industrial applications, as well as in personal care products such as shampoos and cosmetics. The sun emits ultraviolet (UV) radiation which can reach the earth; however, one type of UV radiation from the sun, known as UV B radiation, is particularly harmful. This can result in DNA damage – a significant risk factor for certain cancers. In addition, prolonged exposure to the sun can result in other skin-damaging effects, such as premature aging of the skin, which is seen in the form of sagging and wrinkles. “There’s a highly complex cascade of biochemical reactions that occur as stress responses in the skin attempt to counteract UV-induced damage,” said Gitali Indra, co-corresponding author of the study. Indra emphasized the need for better strategies to block UV exposure and to reduce the damage by limiting harmful physiological processes. In their study, the team looked at two glucosinolate derivatives – 3-methoxybenzyl isothiocyanate and 3-methoxyphenyl acetonitrile – which were obtained in the seed meal leftover from meadowfoam oilseed processing. They also developed 3D replicas of human skin reconstructed in culture plates, exposed them to UV B radiation, and eventually treated them with the meadowfoam derivatives. Results revealed that the glucosinolate derivatives found in meadowfoam improved the UV damage to the skin cells in several ways. Both of the derivatives prevented crosslinking of DNA, which in turn prevented cancer-initiating mutations. They also reduced the number of precancerous cells and warded off hyperplasia, an enlargement of an organ or tissue that is often an early stage in cancer development. Because of the reduction in DNA damage, the precursor to photocarcinogenesis, skin health improved and cancer risk was reduced. The glucosinolate derivatives also suppressed two enzymes that contribute to the breakdown of collagen, the primary structural protein of the skin. This indicated their efficacy as anti-aging compounds. The findings of the study could be used to develop natural treatments for sun damage protection, which could reduce the incidence of skin cancer – a condition that affects over 10,000 people in the U.S.
Look for a shade – Avoid being outdoors in direct sunlight for too long, particularly between 10 a.m.and 4 p.m., when the UV light is strongest. Put on a shirt – Different types of clothing provide different levels of UV protection. Clothes covering the most skin are the most protective; dark colors are generally more protective than light colors; tightly woven clothing protects better than loosely woven ones, and dry fabric offers more protection than wet fabric. Apply sunscreen – Although sunscreens provide protection, they do not entirely block UV rays. 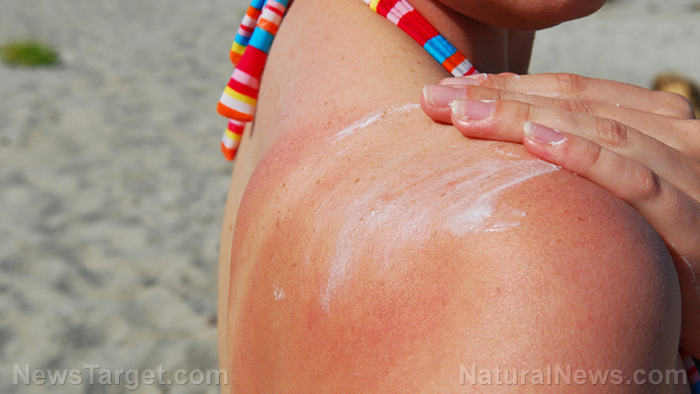 It is best to use natural sunscreens and apply them properly. Wear a hat – Wearing a hat with at least a 2- to 3-inch brim all around can protect the ears, eyes, forehead, nose, and scalp from sunlight. Put on sunglasses – UV protective sunglasses are essential for protecting not only the eyes but also the skin around them. Read more news stories and studies on beneficial plants by going to Phytonutrients.news.